I was born on March 7, 1992. Almost six months to the day after I was born, on September 6, a moose hunter found Chris McCandless’s body in an abandoned Fairbanks City bus in the middle of the Alaskan wilderness. The 24-year-old from Virginia had been dead for over two weeks. Our lives overlapped by a few months. I was a newborn while he was alone in the wild. Chris is someone we have all tried to understand. We’ve written books about him and made films about him. The most noted film, Into the Wild, written and directed by Sean Penn, is based on the stellar book by Jon Krakauer — a feat of investigative reporting into why this young man with a promising future ran away without telling anyone where he was going, including his family. We don’t know why Chris did what he did. I certainly don’t. All the same, I think about him all the time. When I read Into The Wild in high school, the book had a profound impact on me. Chris’ story got me through some hard times — the years I consider my most miserable. In high school, my parents required me to talk with the pastor once a week about my “gay problem.” We would sit in his clean-smelling office and read Bible verses and he would tell me in detail what the Lord thought about my homosexuality. All remedies to fix it involved prayer. Nearly every night, I came home and started homework, knowing that before bed my father would knock on the door with his Bible to read a few verses with me. We’d talk about what they meant in regards to the evil spirits working inside me — spirits which he believed were responsible for this abomination. The fights at home were endless. Every day after school, I dreaded going back to that horrible house. I had a truck, and every day after school, I crossed the freeway — I-20 West. Every day I was tempted to simply turn the wheel, to drive onto the entrance ramp and go. It would be incredibly easy. Just turn the wheel. Get on the road. Go West. See how far I get. Hitchhike the rest of the way to California. Never look back. I planned the escape many times. Some days I drove very slowly past the ramp, debating. I can’t say why I never did it, but I think the reason had something to do with Chris. 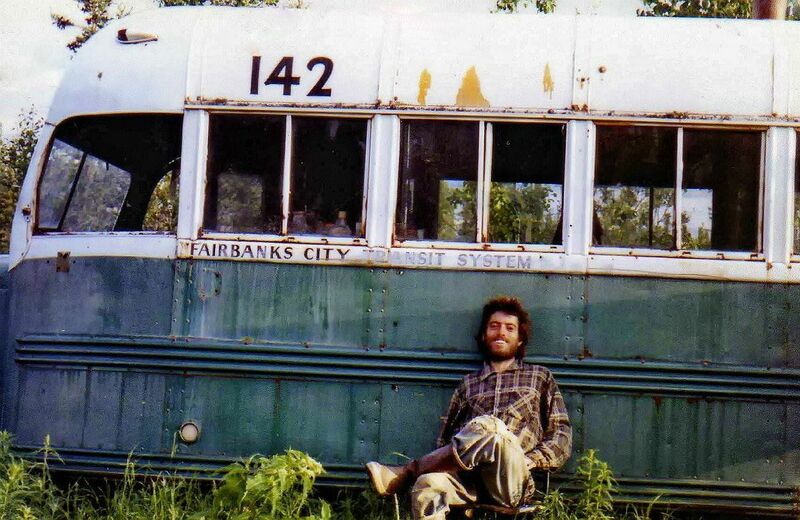 Chris McCandless likely had many motives for breaking from his family. His relationship with them was painful and discordant as mine was. His only close connection was with his sister. Mine is too. Some say his exodus was fueled by a romantic allure to nature and naturalist writers and philosophers, and there is plenty of evidence to suggest he had strong feelings about the evils and corruption of modern society. In the end, though, all we have are his actions and the pieced-together road narrative offered by those who met him on his way North. He passed through towns, stayed with people, took odd jobs, and slowly planned his break from people. It is generally agreed upon that he did not intend to die (in the book, Krakauer suggests poisonous berries killed him), but who knows? There were moments when I wanted to die, when suicide seemed as practical as any other attempt to run away. Chris waited until he was finished with college. He waited until he was sure. He planned. I would too. It is very alluring to disappear. My life has changed, and I still fight that urge. I’m still tempted to jump ship when relationships face rough patches and life seems claustrophobic — a feeling that exacerbates a restless spirit. I fantasize about the life Chris chose when he left. Chris helped me stay. I lived to see a better life, one that’s worth living, and now I work to pass the message on to other queer kids: Things get better. Stick around. Live to see it. When I tire of this mess, I tell myself that I’ll go forth into that great and terrible wilderness, following in your steps, my brother.